A. Our company, Guangzhou Yueshen Import & Export Co., Ltd, was set up at Jul, 28th, 2003 which has operated for 11 years. We got the Corporate Business License that issued by Administration of Industry and Commerce of Guangzhou, got the license to sell the medical equipment from US Food And Drug Administration of China. It is not any Commercial disputes until now no matter the home business or the over sea business, and there is not any complain for our service and the quality of our products. We get more and more customers from Africa, Latin America and Asia according the principle of honest business and mutually beneficial cooperation. B. Because of our principle of honest business, we got the honor for "National Advanced units for After Service of Medical Equipment" which issued by Business Coalition of China at 2006 and got the honor of "Model Integrity Enterprises" which issued by Entrepreneurs Association of Guangdong province in 2008. You can get the information from our website. C. We have exported large amount of the medical X-ray equipment to Africa and the Middle East, etc. It was the largest amount of the X-ray machines for one purchasing in China that we sold 126 sets of medical X-ray machines to Congo by one time. The record was broken again in 2007 as we sold 150 sets of X-ray machines to the same customer by one time. 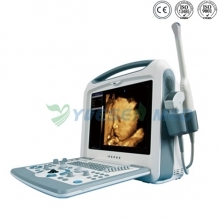 And we also sold lots of medical equipments to Nigeria, Angola, West Africa, etc. 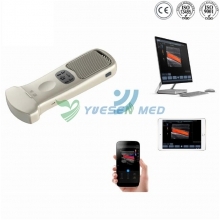 Beside the medical X-ray machines, we also Ultrasound scanners, Veterinary instrument, ECG, Ventilator Surgical Instrument pack, etc. D. We have very good record in our customs, Administration of Foreign Exchange and Foreign trade and economic cooperation committee. The amount of export is larger and larger these years because of the trust to our company is stronger and stronger. E. We are the Gold supplier of Alibaba and we are the Golden Integrity member of Alibaba for 9 years. Prev: 3. Do you offer the training for free?We are worry about the repairing, how to do the after service? Next: 5. How about the maintenance after the warranty period?